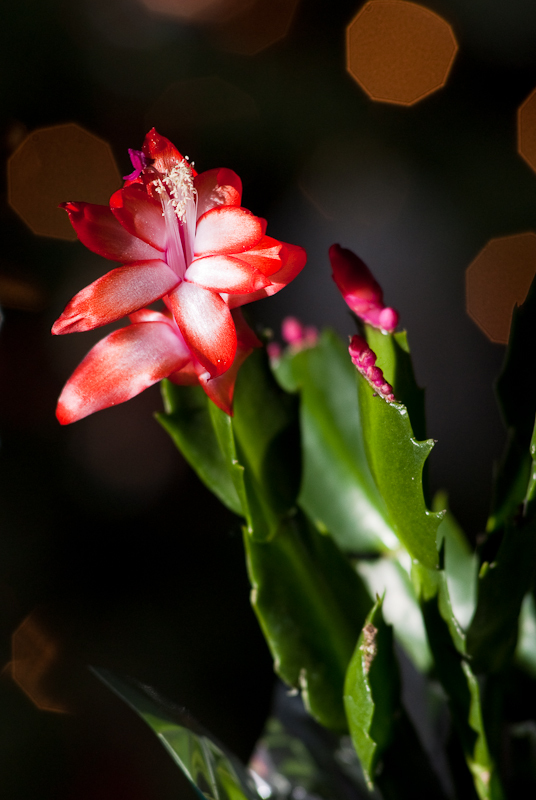 Jamie received a Christmas cactus as a gift from one of the ladies at a home school Christmas party. I had to use it for one of my photographs. Manual: page 101 Highlights and Histogram from “Photo Information” I use Highlights when checking the photo in the display. Highlights are also know as the blinkies. If it’s blinking I check the exposure again.